What: Love chicken wings? Think you and a few of your friends can eat them quickly? Want to help kids with life-threatening medical conditions? Then this event is for you! 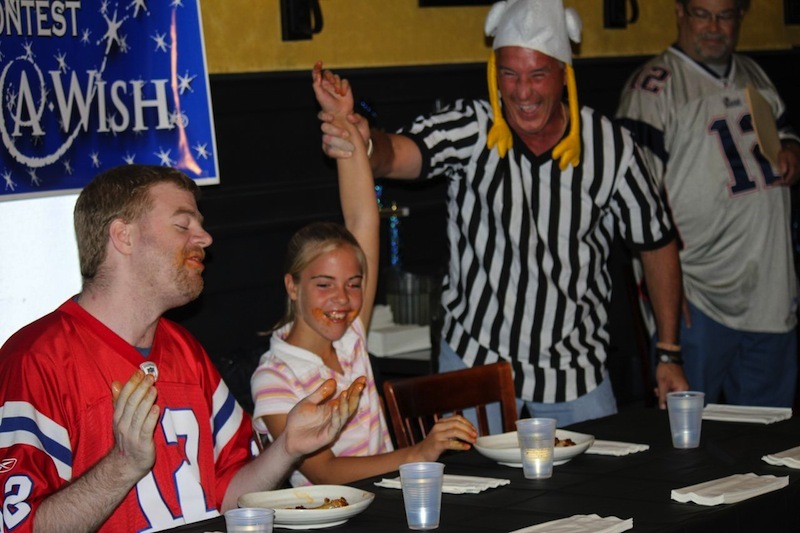 The 2nd Wings for Wishes is a chicken wing eating contest to benefit the Connecticut chapter of the Make-A-Wish Foundation. 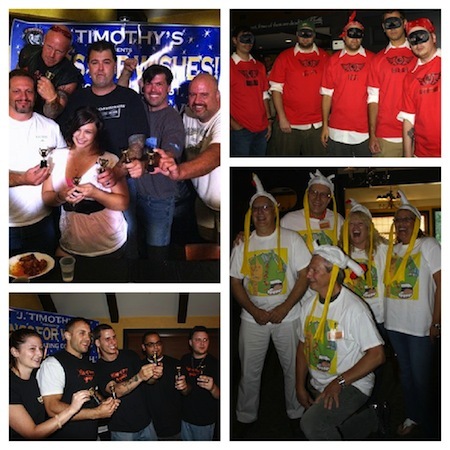 Where: J. Timothy’s Taverne, 143 New Britain Ave, Plainville. When: There will be a series of 3 playoff rounds (August 8th, 14th, & 15th, 7-9pm) culminating in a Championship competition on Thursday, August 22 (7:00pm). See the schedule here. Who: You! And your friends! And co-workers! And family (kids welcome)! Several teams of 5 people each will be selected to compete. Each team competes in one playoff round; the winner of each playoff round competes in the Final Championship. So start getting your team together; there will be prizes plus it’s a great opportunity to support a wonderful cause. 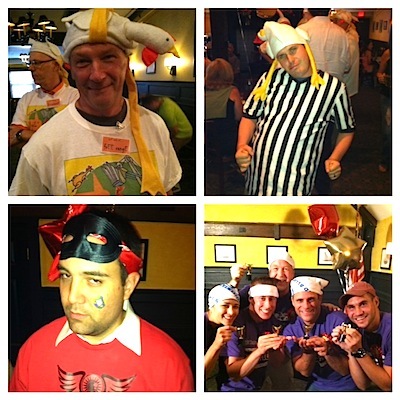 And, of course, you get bragging rights to the BEST/FASTEST WING EATERS EVER AT J. TIMOTHY’S!! All the details for competitors are here. NO PROFESSIONAL EATERS. Why: Duh! Because our dirt wings + great people eating them + a great charity is awesome! Last year’s event raised over $11,000 for Make-A-Wish and allowed a child and his family to visit Disneyland. Wish granted! Click around this site to find out all of the details; if you have any questions, please leave a comment or email nikki [at] jtimothys.com. 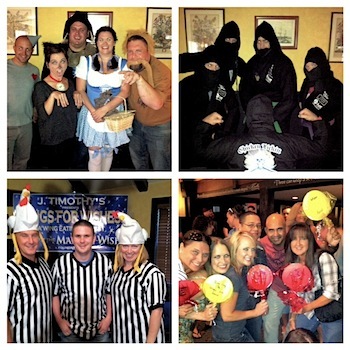 Here are some of the teams and pics from last year. Start putting your team together now! GO!